Credits: photography and collage – my son. 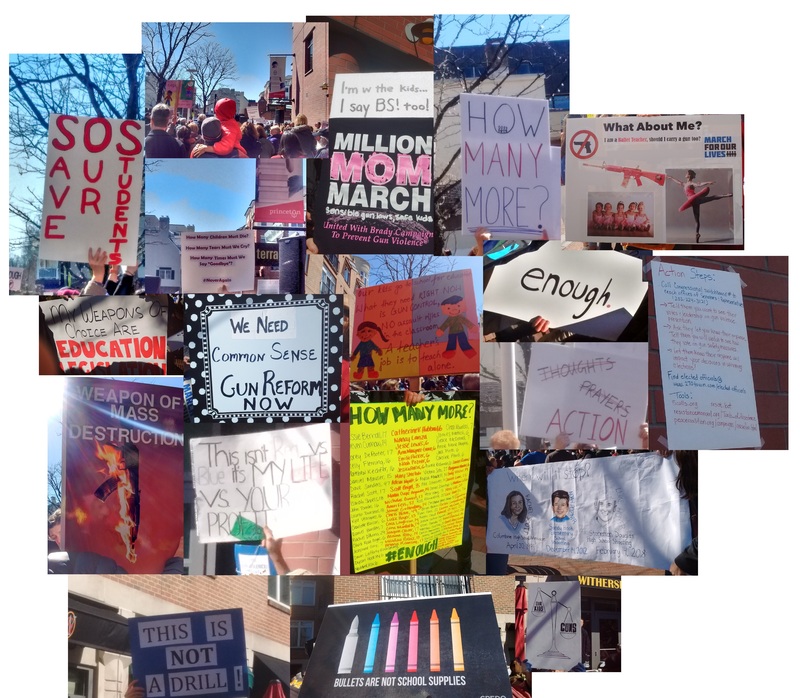 This entry was posted in gun control, photos and tagged #MarchForOurLives, march for our lives, Parents protest, Princeton, Student protest. Bookmark the permalink. I love what they are doing, their intensity, and smarts. I admire their courage to stand up and speak about personal experiences in front of thousands of strangers. They showed more responsibility than most adults.